Coach has tapped designer Billy Reid for a suite of luxury leather goods, including billfold wallets, day bags and even high-end baseball gloves. 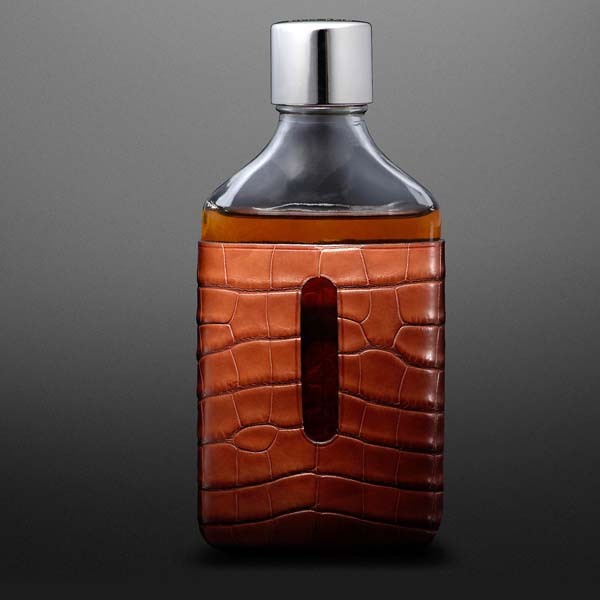 One of the finer items in their collaborative collection is this whiskey flask, crafted from gorgeous, rich textured Louisiana alligator leather. The Alabama-based designer hand selected every piece of leather to be used in the collection, so you can believe each flask will be a thing of booze-coddling beauty. If you want your own it’ll cost you $500, which we would argue is still worth it.